We are able to offer clients an edgy, modern and unique office space solution close to Shoreditch. Amenities include: high speed internet, printing facilities and business lounges. ur offices feature glass walls to maintain privacy without sacrificing transparency and natural light. Common spaces have a distinct aesthetic and vibe that will inspire your team as well as the customers or potential customers you serve. Through design and experience, we obsess over providing you with the best place to work. Located close to the energy of Shoreditch, TechCity, Brick Lane, and the City - all less than a step from Aldgate East station. Easy Offices Where is the nearest public gym to Leman Street? Easy Offices Where is the nearest car park to Leman Street? 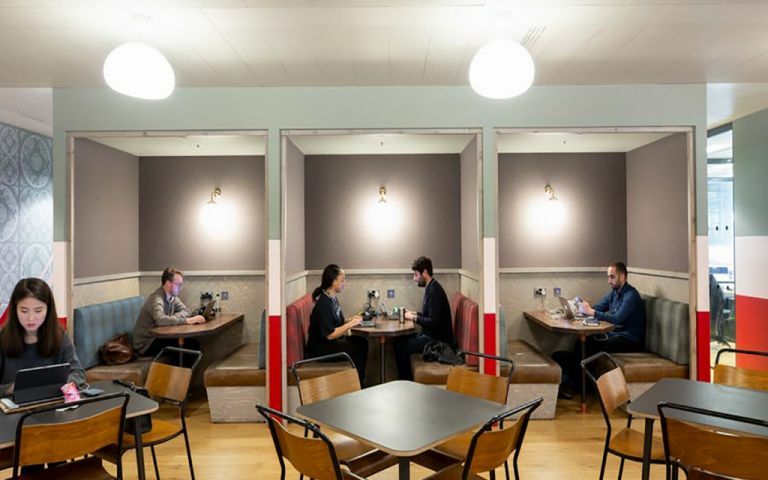 Easy Offices Where is the nearest coffee shop to Leman Street?